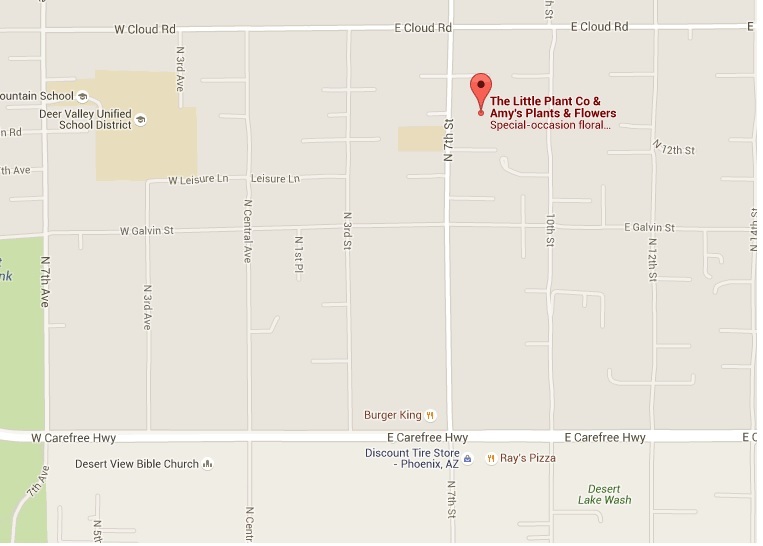 We are located in the North Valley, East of Anthem and West of Cave Creek and Scottsdale on CAREFREE HWY. From CAREFREE HWY go NORTH on 7TH STREET for 3/4 of a mile, and TURN RIGHT into the property. It will be marked by a YELLOW ARROW and PINK MAILBOX. Follow the dirt driveway through the gate and park in the labeled customer parking. 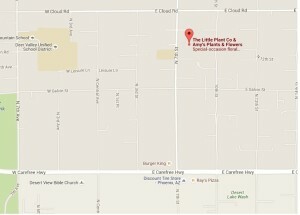 If coming from the I-17 you will pass 7th AVE, do NOT turn on 7th AVE.